Fed Up! is a fresh, irreverent take on the political landscape. 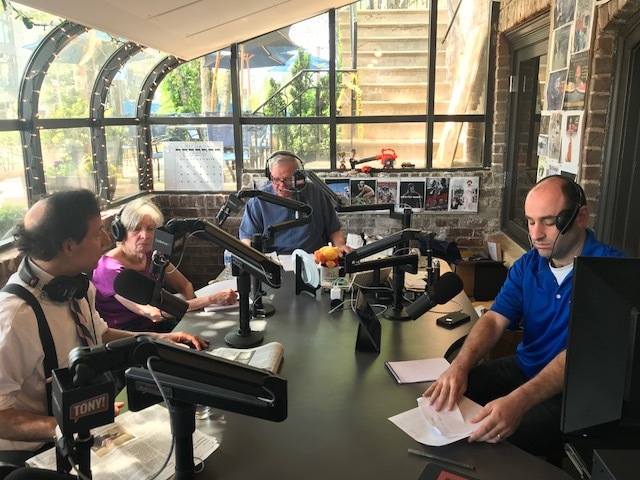 Hosts Roy Neel and Eleanor Clift rip apart the headlines and the gossip to peel back the underbelly of national political craziness that has engulfed the country since 2016...and actually long before that! Fed Up! features guests from the left and right, with analysis that educates and outrages our listeners. After a career in politics, Roy has turned to this podcast as a way to deal with the muck and mire of Washington in the Trump era. Roy has been on every shoreline of the cesspool- Chief of Staff to Senator, then Vice President Gore, Deputy Chief of Staff to President Clinton, President & CEO for a large telecom trade group. A Tennessean, Roy is a graduate of Vanderbilt (art history), and Harvard’s Kennedy School, a hangout for federal officials in exile. He occasionally teaches presidential politics at Vanderbilt and lectures even more occasionally at the University of Melbourne, Australia. For nearly four decades Roy allegedly kept his Tennessee driver’s license and voting registration in possibly flagrant violation of DC election laws. Most recently, Roy is the author of “The Electors”, a political thriller described by David Marannis as “A compelling, believable, and at times scary account of our electoral system by one of the masters of American politics." If you haven’t already bought and read this magnificent novel, run to your laptop and order it from Amazon or your favorite bookstore. Write a review and let us know what you think here at Fed Up! Every four years Americans go to the polls to elect a president - or at least they think they do. In fact, they elect Electors, who gather five weeks later to cast their votes for the candidate of the party who wins their state. A riveting story of massive political corruption, THE ELECTORS follows a conspiracy hatched by the White House Chief of Staff, in the wake of a devastating terrorist incident in the nation’s Capitol. For readers of Newsweek and the Daily Beast and viewers of The McLaughlin Group, Eleanor needs little introduction. 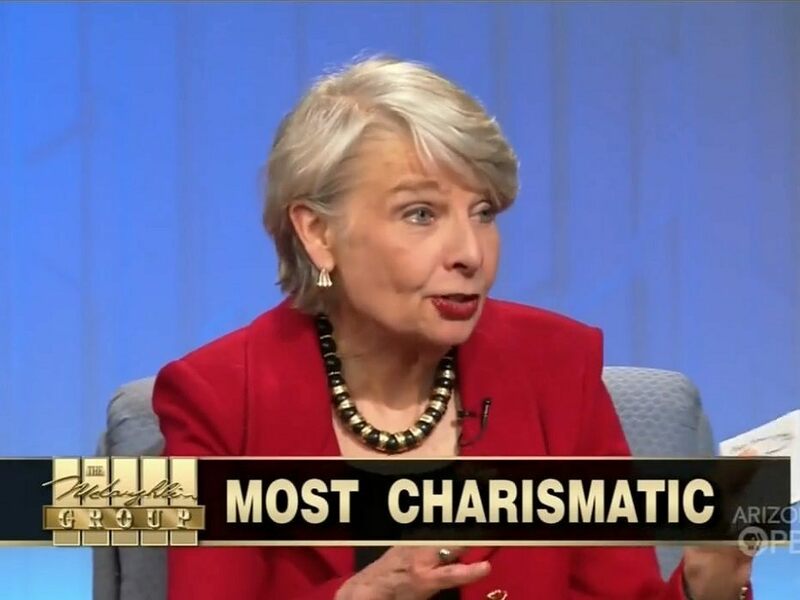 She is one of nation’s top political journalists and commentators and has appeared in four movies- Rising Sun, Dave, Independence Day, and Getting Away with Murder. Take that, Sean Hannity! Peter is national chairman of the Cocktail Wizards of America, the elite cadre of mixologists dedicated to preservation of the classic drinks. He anchors the Fed Up! segment, Distractions from TrumpLand. WTOP rightly calls Arch “Washington’s beloved movie buff”. With his trademark fedora and relaxed delivery, Arch Campbell has done it all, a local institution on the Washington NBC affiliate and more recently on News Channel 8. An anchorman, weatherman, and feature reporter, this Texan is the go-to movie guy. Arch currently co-hosts the Arch & Ann at the Movies with Washington Post film critic Ann Hornaday.